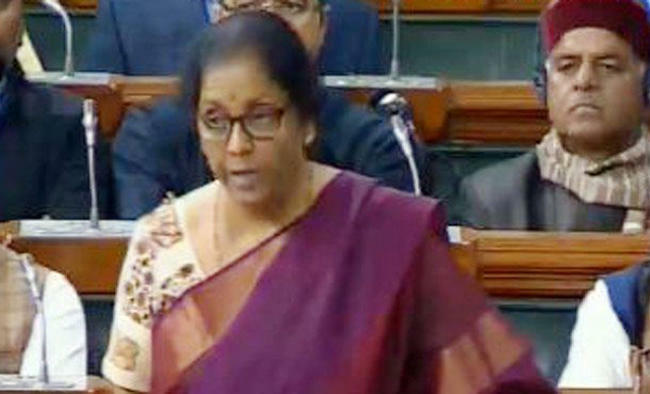 New Delhi: Defence Minister Nirmala Sitharaman on Monday attacked Congress President Rahul Gandhi for raising "incorrect and misleading" doubts regarding her statement in Parliament after the latter challenged her to prove her claim that the Centre gave Rs 1 lakh crore worth of orders to defence PSU Hindustan Aeronautics Limited (HAL) or resign. "Doubts are being raised on my statement made on the floor of the house on January 4 regarding procurement orders in the pipeline for HAL... I would like to set all doubts to rest by adding that I have received confirmation from HAL that during 2014-2018, contracts amounting to Rs 26,570.80 crore have already been signed with HAL and orders approximately of Rs 73,000 crore are in the pipeline," she said without naming Gandhi. "I had specifically mentioned that there are 83 LCA Tejas fighters ordered worth Rs 50,000 crore, 15 combat helicopters worth Rs 3,000 crore, 200 more helicopters worth Rs 20,000 crore, 19 Dornier transport aircraft worth Rs 3,400 crore, helicopters worth Rs 15,000 crore, and aero-engines worth Rs 8,400 crore. All of them put together amount to Rs 1 lakh crore," she added. Placing documents related to those orders on the floor, Sitharaman said they "clearly confirm the correctness of my statement made on the floor of this house and (prove that) the doubts raised in this regard are incorrect and misleading". Her response comes after Gandhi alleged that the Defence Minister must either place documents before Parliament to prove her claim that the Modi government has given Rs 1 lakh crore worth of orders to defence PSU HAL or resign.Two days after Sitharaman made the claims in the Lok Sabha , Gandhi took to Twitter to question her claims, tagging a media report that said "no actual order has been placed".